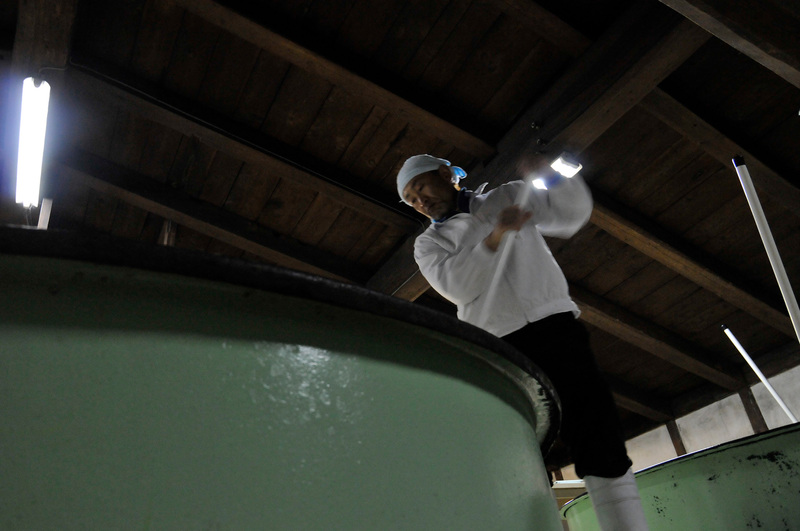 We continue brewing to ensure our future and the future of Kisoji. Appreciates its history and environment and preserves its vitality. Reads the market trends and continues to produce uncompromising sake. Produces moments that connect mankind, society and communities. 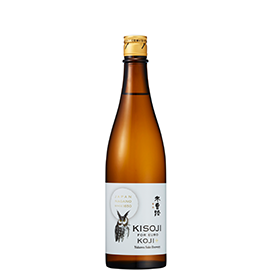 Yugawa Naoko, the 16th generation current family owner, defines their craft as, “tradition that changes with the times and connects us all.” Basing their sake around the flavor of delicious, well-rounded rice with a pure, nimble aftertaste, they produce two brands: Kisoji and 16th generation Kurouemon. Long ago, the Shinshu Kiso road, that once connected Kyoto and Edo through the mountains of modern day Nagano, was written about in poems by Basho and depicted in ukiyoe paintings by Hiroshige. Here, deep in the Kiso valley, in a nook of the village of Yubuharajuku, the sake storehouses at the Yukawa sake brewery stand silently. 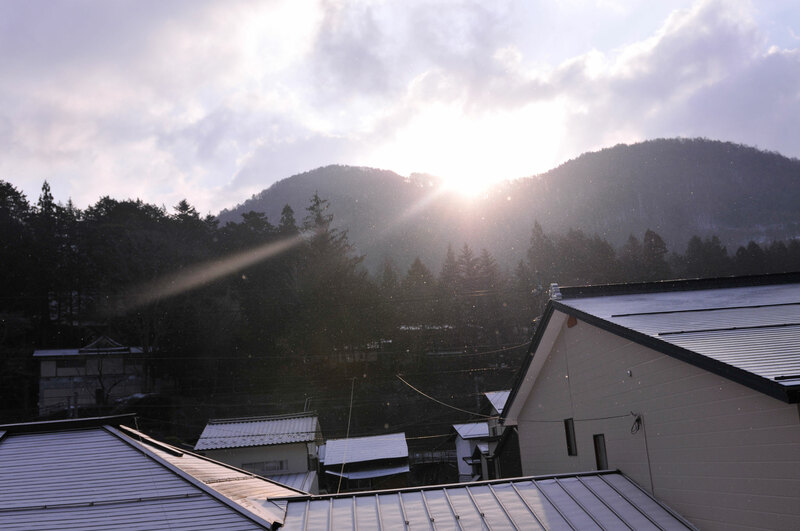 Founded in 1650, Yugawa Kurouemon started brewing sake creating what is today the second oldest distillery in Nagano. 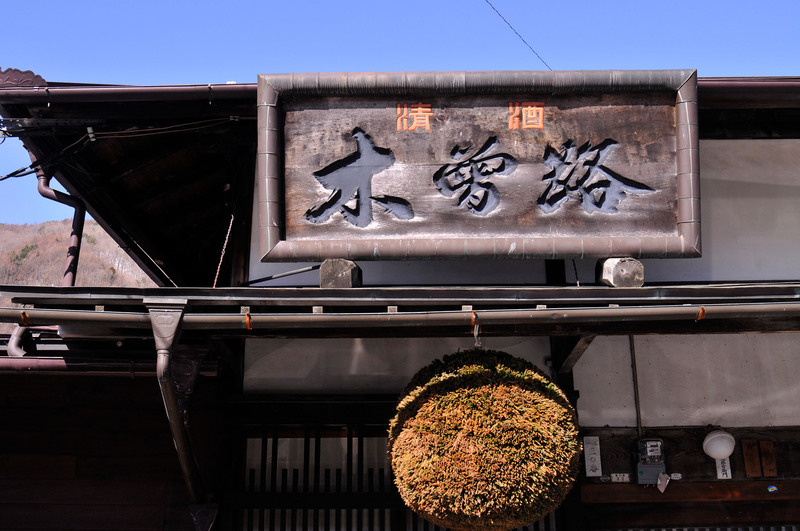 Since the early days of the Edo period (1603-1868), and every era since, local people in the region and travelers coming and going has loved and supported the brewery. 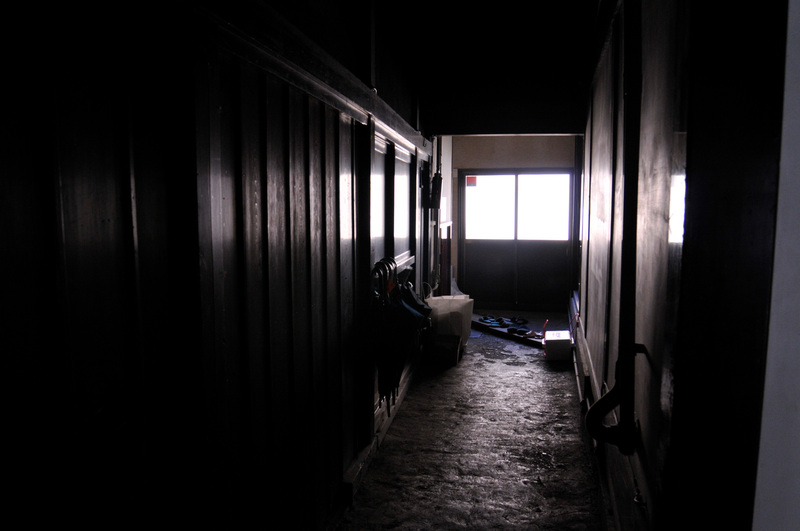 Hiroo Yugawa, the 13 generation owner, who is a poet as well, says that Araragi school poets (famous for their short tanka poems) gathered at the Chinryukan building on the grounds to drink sake and recite poems. 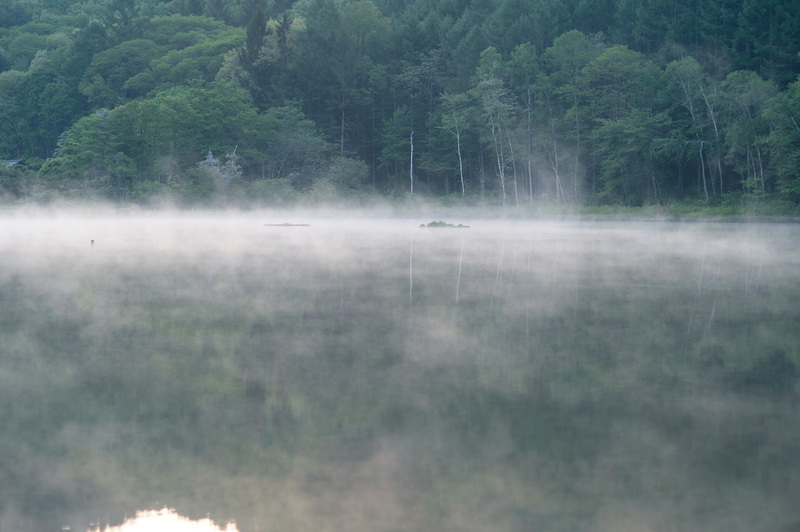 The Kiso Valley that engulfs Kisoji is about 90 percent woodland. Long ago, rice was unable to grow due to the limited cultivated land, so instead of being taxed by rice, the area was taxed by cut timber. By paying their taxes in timber, the population of the fief was in turn supplied with rice. Even in the Edo Period when the rest of Japan followed suit as the rice tax became the basis of the economy, the natural resources from the forest supported the lives of the people living in the Kiso domain. Also, the high price for timber brought forth a flow of many kinds of rice to the Kiso Valley. 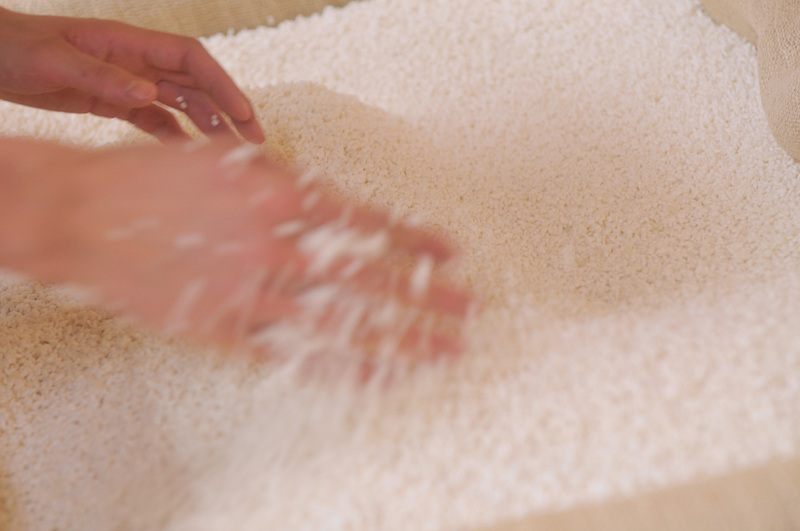 Our brewery exists as one that used this rice and contributed to the economic development of the Kiso region. This brewing couple creates sake in their own style without inviting chief brewers and brewing experts from outside companies. The husband, Yugawa Shinichi, oversees the brewing process as the brewing master. 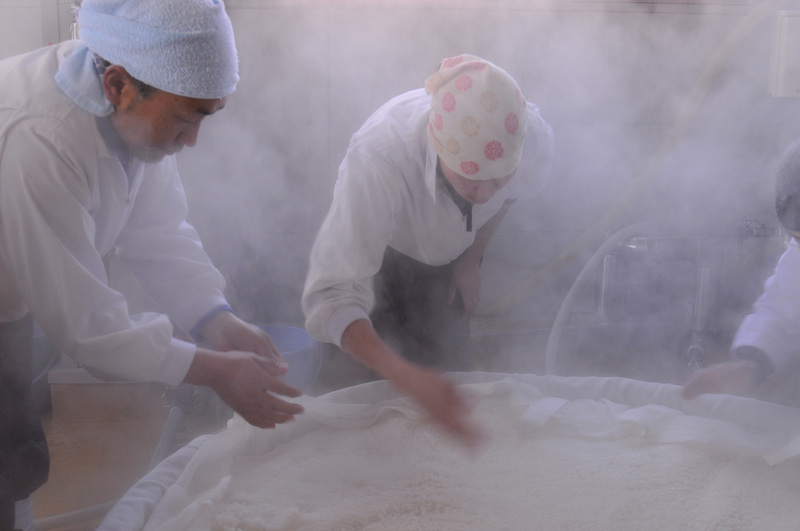 The wife, Yugawa Naoko, serves as president and runs the day-to-day operations of the company while being involved in the malting koji process. As president and brewer, she learned from their veteran brewer Otari until 2010 as well as acquired skills from the school of master brewer Suwa. Their knowledge, experience, as well as their way of thinking towards brewing sake and how to enjoy sake has been fused over the years. 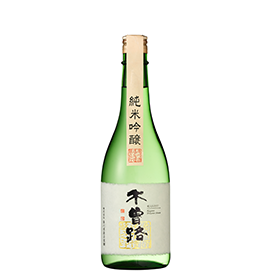 Via the chief brewer’s sensitivity, Yukawa sake has materialized boasting a robust individuality. Sake cannot be brewed by sake brewers alone. All operations from the cleaning and replenishing process to labeling to shipping to sales to office operations at the Yukawa sake brewery encompass “sake making”. Every step of the way, we do careful work to ensure a products that meets the high satisfaction of our customers. 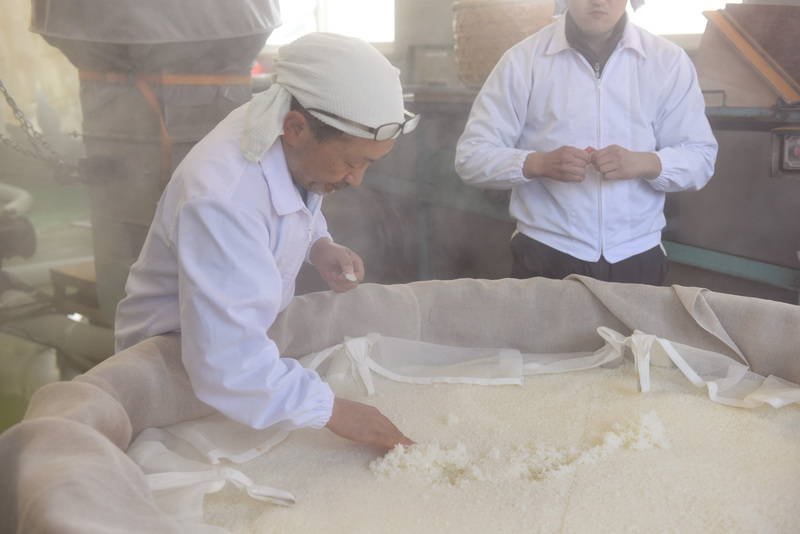 Each and every employee fells conscious to being involved in “sake making” and faces each and every day of work with a serious yet fun attitude. A product developed for export to Europe. Using Hitogokochi rice, it easily produces a deep, mellow flavor. Moreover, by increasing the amount of malted rice, it expresses the complex flavor of the sweetness and acidness quite clearly from the off-flavor bitterness. This one aims to serve as a substitute for white wine situations and goes well with blue cheese. Turned into a product after being submitted for the Zenkoku Shinshu Kanpyoukai, the National Shinshu Awards. 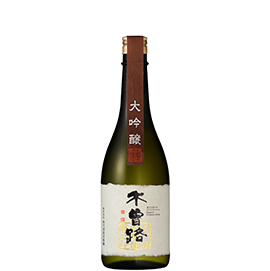 It is the one single bottle that won the daiginjo award. Florid aroma and superb balance of sweeteness. The bitter off-flavor has been completely removed yeilding a pure, smooth taste. With a light, stiff and slackless aftertaste, the aroma is overflowing with taste. Please enjoy cold at 10 to 15 degrees Celsius in glass sake cups or wine glasses. With an elegant flavor that boasts the sweetness and taste of rice, the off-flavor aftertaste is lightly bitter and bold. 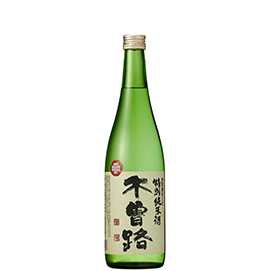 While being clean and beautiful, the lure and charm of this sake is the shaded flavor. This one is unexpectedly great with curry and other spicy foods. Served at room temperature or cold between 10 and 15 degrees Celsius. While glassware is fine, glupping it down is a great way to enjoy it. The concept of this sake is one that normally accompanies your dinner time drinking. While there’s no flashy taste, we hope this serves as the best way to enjoy a home cooked meal. Slowly aged for over a year, with a mild and mellow taste and well-rounded body. A very relaxed blend that can be drunk over and over again. Served at room temperature or hot between 20 and 50 degress Celsius and made to meet all eating situations. Please enjoy sipping it in small sake cups.